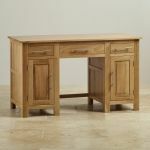 Natural solid oak computer desk. 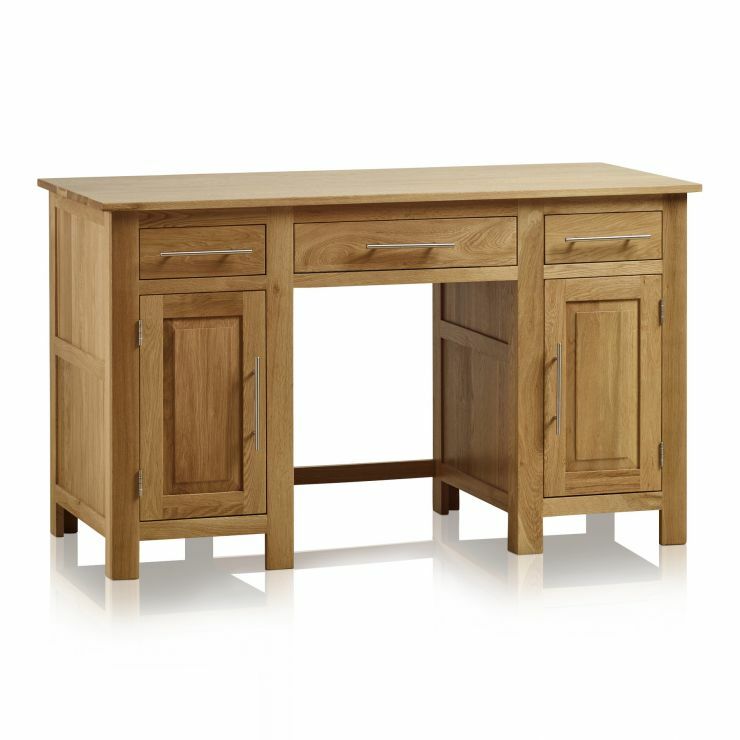 For the home office or study, the Rivermead solid oak computer desk gives a sound base for the home computer. The cupboards are made to house a computer, and have pre-made holes in the oak back to make routing cables a simple job. When work is done for the day, the computer can be shut away, and you can enjoy the simple beauty of the natural oak grain. 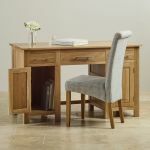 Match this natural oak computer desk with other pieces from the Rivermead range, and put together a complete look in your study, with dresser or bookcase. 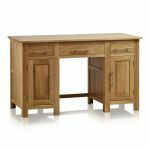 Every piece is made from solid oak, and all comes with free delivery. 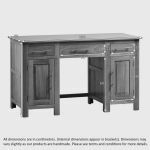 Please note: the price is for the computer desk only and does not include the chairs.